by Chalkdust. Published on 6 December 2018. December has begun, and with it comes our first Christmas competition of 2018! Throughout the month, we will be running a series of puzzles, with a fantastic prize up for grabs in each one. This week, we’ve been lucky enough to get some DVD box sets from science comedy trio Festival of the spoken nerd. Read on to discover what we thought of their latest show, You can’t polish a nerd, and to find out what you need to do to enter the competition. 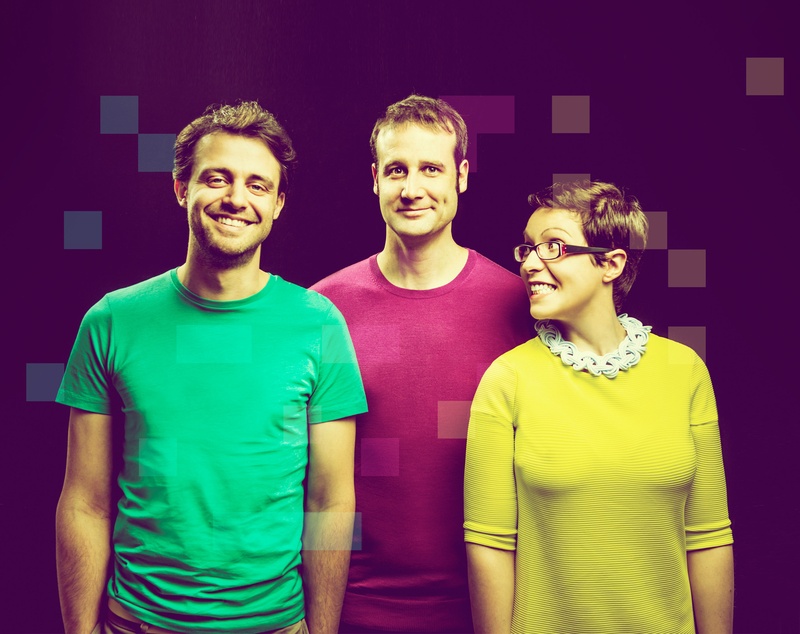 Festival of the spoken nerd is the name for the trio made up of Helen Arney, Steve Mould and Matt Parker. Together they do live shows featuring comedy, music, mathematics and science experiments. You can’t polish a nerd is their third such offering, and the first one that I had watched. It’s amazing how varied the show is; they use so many different ways of communicating topics from maths, chemistry and physics and all of it comes off really well. There is something for everyone: Helen delivers some beautiful folky songs about space, the periodic table and radiation, Steve’s soothing voice is perfect for explaining the hard science behind the experiments, and some of the tech on show in Matt’s bit about recursion is seriously impressive (but I won’t spoil it here!). As well as being multi-talented, the trio are all very experienced science communicators. The show is fast-paced, smoothly delivered and highly interactive. At one point, they bring an audience member up to take part in an experiment involving measuring $\pi$ using a giant pendulum made of… pie. This is preceded by a routine about all the different places that $\pi$ comes up in maths (see competition below) and a hilarious video of Matt using these equations to get successively better approximations to $\pi$ using yet more pies. Other segments involve creating gravity waves on stage, and a routine about mathematicians tiling a bathroom. Overall I think this is the most impressive aspect of the show: the ability to take a silly joke and deliver some serious science with it. None of the content feels light or dumbed-down, yet the jokes keep coming and you never feel like you’re being lectured. You can’t polish a nerd, but you can certainly enjoy watching them! How much colder is it outside an aeroplane than in a freezer? What does this question even mean? What will happen if you put a bar of soap in a microwave? And how accurately can we measure pi with a pie pendulum? If you cannot sleep at night thinking about questions like these, I would definitely recommend watching this DVD. You can’t polish a nerd is the perfect combination of comedy and science outreach. The intro, with its recursive animations, caught my attention immediately. The three presenting comedians bring their individual strengths to the show and explain scientific and mathematical concepts in an entertaining way. It is easy to understand for non-nerds and contains lots of jokes and even some equations for the nerdy people–although, according to them, everyone is a nerd. It contains a diverse range of topics from gravitational waves to geometric tiling communicated through presentations, experiments on stage, songs (the Space traveller song is very soothing), great visualisations and juggling. There was lots of interaction with audience as well, so I guess seeing them live would be even better! My favourite part was the aeroplane/freezer temperature problem as its message is very important to the scientific world: proper communication is necessary. The team sets a good example. The only point one could criticise is that some of the improvisation seemed a bit fake. Still, the moderators were definitely full of passion and creativity. I rate the show 3 over pi. As a person with a general interest in science, I found this show hilarious. I recommend this DVD for both nerds and non-nerds, as the guys explain many maths, physics and chemistry phenomena in a funny and understandable way. Festival of the spoken nerd have kindly supplied us with a complete signed box set of all three shows, plus a T shirt. We have three sets of prizes up for grabs. To win one, all you have to do is tell us: what is your favourite appearance of the mathematical constant $\pi$, in an equation or otherwise. Simply fill in the form below, and we will reveal the lucky winners in next week’s competition post!